Predator is a classic film, beloved not just for its iconic alien hunter, but its excellent pacing and switch-up from an action-packed war film (complete with some great one-liners) to a horror film where our heroes get picked off one by one. 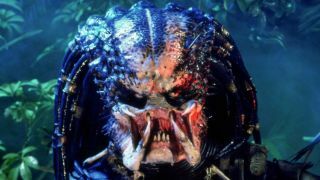 It's an example that writer/director Shane Black plans to follow with his upcoming sequel, The Predator. "The feeling I loved about Close Encounters was, you had this ordinary guy, Roy Neary, to whom this is all new. I think the danger of a Predator sequel is that it's not new to anybody anymore. 'Oh, look honey - another Predator. Yeah, we had one of those last year. Gah, is he in the barn again? Oh God, he's had the sheep.' You know? That's the danger. That it's too familiar - we have to find a way to make him mysterious again." If anyone would know how to blend genres, it would be Black. He wrote the screenplays for action-comedy classics like Lethal Weapon, and films like Kiss Kiss Bang Bang and The Nice Guys likewise throw relatively ordinary people into extraordinary situations. Black also played Hawkins in the original Predator, so if there's one person who can make this work, I'm inclined to believe it's him.